Why would I need self storage in San Leandro, CA? There are a variety of reasons why you might need self-storage in San Leandro, CA. How much is a storage unit in San Leandro, CA? The cheapest storage unit in San Leandro, CA is $69.00 per month. What size storage units do you have available in San Leandro, CA? In San Leandro, CA we have sizes that range from 4'x5' to 10'x30' to suit your storage needs. How much is it for a 4'x5' storage unit in San Leandro, CA? The cheapest 4'x5' storage unit in San Leandro, CA is $69.00 per month. 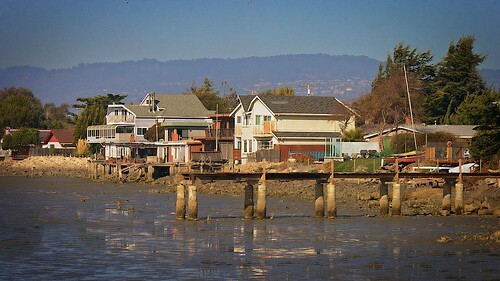 San Leandro is a vibrant city in California's Alameda County, located in the eastern part of the San Francisco Bay Area. It's conveniently located just south of Oakland and is an easy 20-mile drive from San Francisco. 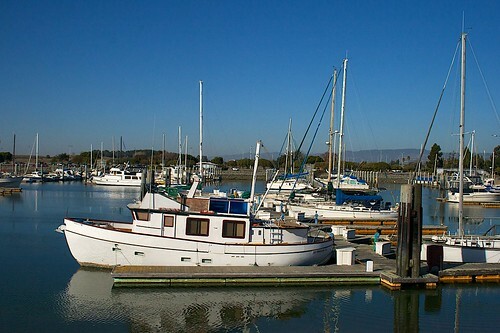 San Leandro has several family-friendly amenities, including a large community library, two golf courses, several parks and swimming pools and a 450-berth marina. The city earned prosperity when its cherry industry grew during the late 1800s and early 1900s. Established in 1909, an annual Cherry Festival to honor the city's agricultural roots remains one of the highlights of San Leandro's social calendar. San Leandro is a community full of shopping, dining and entertainment options. There are several shopping malls and centers to choose from, including Westgate Center, Greenhouse Shopping Center and Marina Square Center. The community library offers a wide array of programs for children, teens and adults, providing options to keep the whole family busy. If you're interested in the history of San Leandro, there are a handful of historic points of interest you can explore. Casa Peralta is a historic house museum that was once home to the descendants of the original land grantees who settled in the area. It's a large, Spanish-style villa featuring a collection of hand-painted tiles that depict the well-known literary tale "Don Quixote." The Monarch Bay Golf Club and several neighborhood parks provide an ideal setting for enjoying the California sunshine, and the nearby Lake Chabot Regional Park offers open space for hiking, camping and fishing. San Leandro's convenient location and city-wide initiatives make it a very business-friendly city. Some of the city's largest employers include ACCO engineering, Bay Cities Produce, Costco Wholesale, Macy's and L-3 Communications. The city has a history of manufacturing excellence, one which is continued by locally-based companies including Ghirardelli Chocolate, Mi Rancho tortilla factory, Zero Net Energy Center and Coca-Cola Bottling Co. The city also has a strong presence in the food processing, transportation services, financial and medical services sectors. If you're going to need a job in San Leandro, you'll be glad to know that thanks to its highly diverse economy, the city has an unemployment rate that's much lower than the national average. A number of large shopping centers, like the Bayfair Center and Pelton Plaza, are excellent places to look for retail and service jobs, and you can find a number of educational positions at the city's largest employer, the San Leandro Unified School District. Public schools in San Leandro belong to the San Leandro Unified School District and the San Lorenzo Unified School District. Local high schools offer special programs such as business and multimedia study tracks, and the district is home to award-winning student clubs and organizations. You also have the option of one of several private schools in San Leandro. Utilities: San Leandro's energy provider is Pacific Gas and Electric, while the East Bay Municipal District manages public water. Garbage and Recycling: In most residential areas of the city, you can expect curbside collection of your trash and recyclables. Transportation: The San Leandro LINKS is a free shuttle that provides public transportation around the city. You can also take advantage of several routes via AC Transit and the Bay Area Rapid Transit (BART) system. San Leandro is fairly affordable by Bay Area standards, though the median home price is still significantly higher than the national average. If you're looking for something budget-friendly, there are a number of apartments in the city, many of which are very close to public transit and amenities. Our lowest priced units in San Leandro, CA average $87.50 per month. 330 people have reserved units in San Leandro, CA in the past 30 days. There are 8 locations within San Leandro, CA's city limits. There is 1 location in San Leandro, CA that offers AC and Heating features.